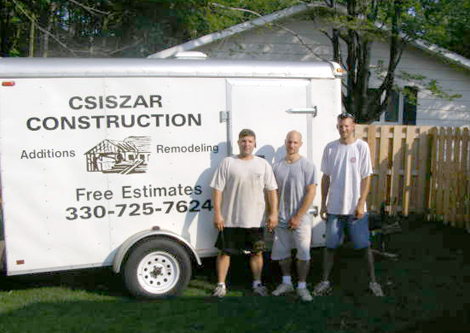 Csiszar Constuction LLC is a locally owned and operated family company since 1998. We are Members of the Local Chamber of Commerce and fully insured. As the owner, I am personally involved in every aspect of every job; starting with the estimating and endign with the building. Our company prides itself with quality craftsmanship and honest pricing. We can and will build you the product of your dreams.